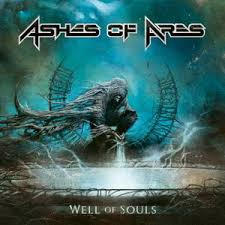 ASHES OF ARES released their brand new official video for the second single "Let All Despair". The song is taken from the band's upcoming album Well Of Souls which is set for a November 9 release on Digipack CD, 2LP Black Vinyl & Limited 2LP Black/Turquoise Splatter Vinyl via ROAR! Rock Of Angels Records.